Atari Party 2011 - Welcome! Have You Played Your Atari Today This Decade? The 3rd annual Atari Party in Davis, California took place at the public library, all day, Saturday June 11th. Just like 2010, we had games, movies, and some awesome give-away prizes! June 13 - I've posted some of my favorite photos of this year's event on a new "Photos" page. Also, Paul Cubbage has provided his presentation slides, which you can grab from the "Talks" page! Enjoy! 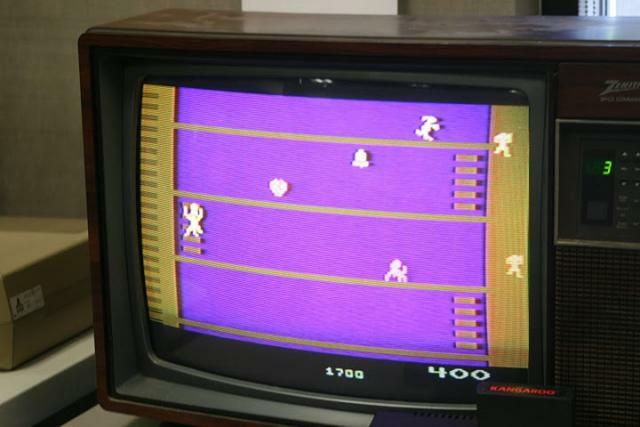 Atari Party was a Sacramento News & Review "Night & Day Pick"! Thanks to all of the people who helped me set up, run, and clean up the show!!! And, of course, thanks to everyone who came and had fun! Next year, I think we'll won't do a movie. (It costs a lot, and it takes a lot of time from the show.) If you have any feedback about this year's show, let me know! Also check out the Links page for even more useful and interesting links! Join the Atari Party 2011" event on Facebook. Water tower based on photo by 'ghirson', CC BY-NC 2.0. Penny farthing based on photo by Leo Reynolds, CC BY-NC-SA 2.0. "Atari" is a registered trademark of Atari, Inc. All other trademarks or service marks are the property of their respective owners.